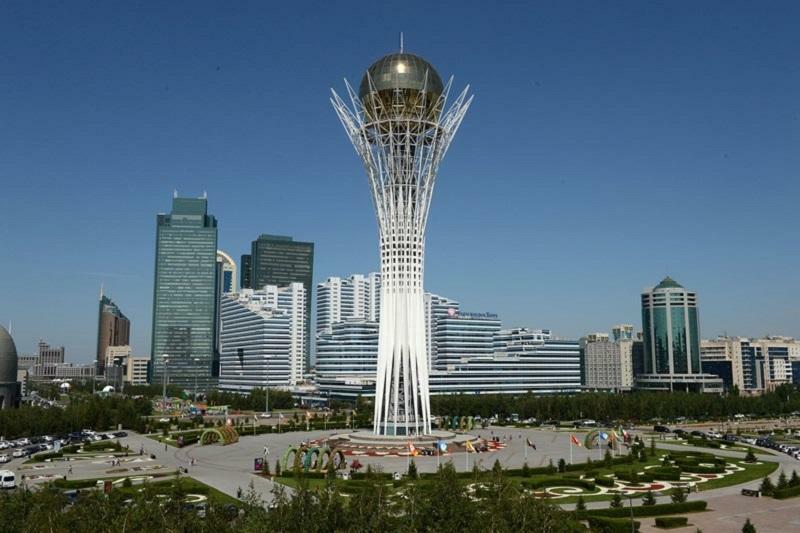 Baiterek Monument attracted over 500,000 visitors in 2018 ASTANA. KAZINFORM Baiterek Monument, the symbol of Kazakhstan capital, is one of the most visited tourist attraction of the city. Another ‘green’ village to appear in Akmola region ASTANA. KAZINFORM - The construction of the first start-up facility of a 100 MW wind power plant, which is adapted to local climatic conditions, is underway in Kostomar village in Akmola region, 40 km from Astana, Kazinform cites the Regional Communication Service of the Domestic Policy Department. 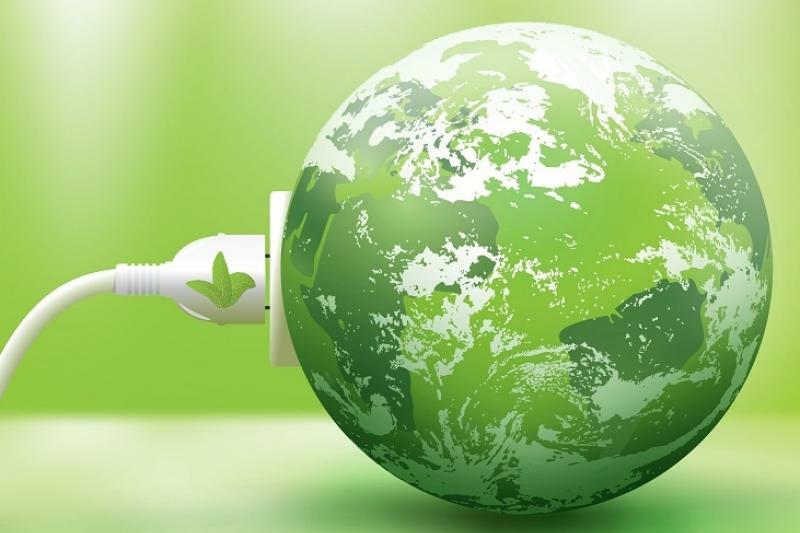 Turkestan region to bring green technologies to life TURKESTAN. KAZINFORM - The International Center for Green Technologies and Investment Projects and the Akimat (Governor's Office) of Turkestan region signed a memorandum. As Governor of the region Zhanseit Tuimebayev said, the signed memorandum will bring about great opportunities to develop the economic potential of the regional center - the city of Turkestan, Kazinform cites the press service of the Governor of Turkestan region. Natural resources - not any more advantage, President ASTANA. KAZINFORM Addressing the Astana Economic Forum: Global Challenges Summit 2018 President of Kazakhstan Nursultan Nazarbayev told about the impact of alternatives on world economic development. Astana EXPO 2017 Deputy CEO named ASTANA. KAZINFORM Yerbol Shormanov, the CEO of "NC "Astana EXPO-2017" JSC, has introduced Baurzhan Bekeshev to the staff as his deputy, the company's press release reads. Atyrau to build national sports platform ATYRAU. KAZINFORM A platform for national sports of Kazakhstan will be built soon in Atyrau, our correspondent reports referring to the regional communications service. EXPO-2017 heritage promoted in China ASTANA. KAZINFORM - NC "Astana EXPO-2017" JSC participated in the Investor's Day held by the Shanghai Stock Exchange, Kazinform has learnt from the company's press service. Kazakhstan to have one of the largest pavilions at EXPO 2020 in Dubai ASTANA. KAZINFORM Kazakhstan will have one of the largest pavilions at Dubai EXPO 2020, next to the UAE, Monaco, Switzerland, and Luxembourg, Kazinform reports. Kazakhstan signs participation agreement in Expo 2020 Dubai ASTANA. KAZINFORM - Kazakhstan signed on to participate in the upcoming Expo 2020 Dubai, Kazinform has learnt from the press service of NC Astana EXPO-2017 JSC. EXPO to be main venue of Nauryz celebrations ASTANA. KAZINFORM - The National Company Astana EXPO-2017 jointly with akimat of the city of Astana have prepared an eventful entertainment program, Kazinform refers to the press service of the national company. Schoolchildren to attend classes at Astana Expo site ASTANA. KAZINFORM - Astana EXPO-2017 National Company, Akmola Regional Administration, and Atameken National Chamber of Entrepreneurs signed a tripartite Memorandum of Cooperation, Kazinform reports. 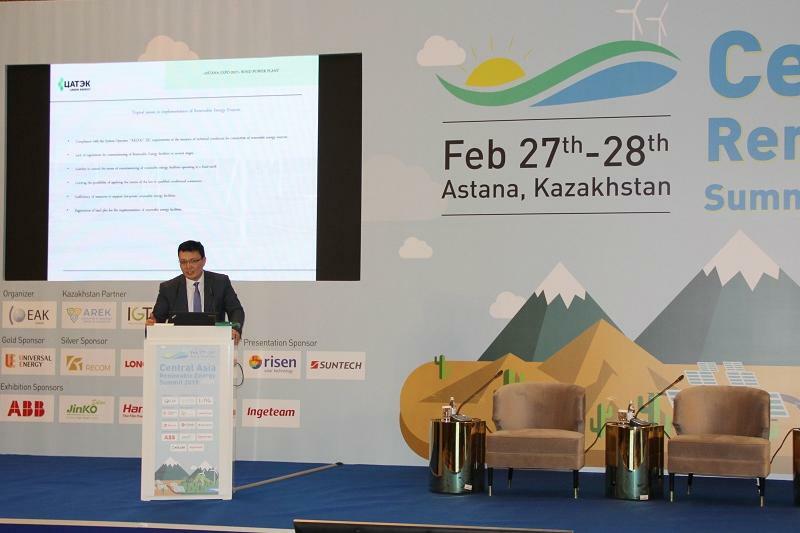 Speaker of S Korea's National Assembly hails green economy development in Kazakhstan ASTANA. KAZINFORM - Within the framework of the official visit to Kazakhstan, the parliamentarians of the Republic of Korea led by Speaker of the National Assembly of the country Chung Sye-kyun visited Nur Alem Future Energy Museum, the PR Department of Astana EXPO-2017 National Company reports. Speaker Tokayev: Kazakhstan taking steps to unite the Muslim world ASTANA. KAZINFORM Kazakhstan is taking steps to unite the Muslim world on the path of progress and development, the country's Senate Speaker Kassym-Jomart Tokayev said today at the Forum of Muslim scientists of Eurasia in Astana. PM chairs meeting on use of Astana Expo 2017 facilities ASTANA. KAZINFORM Prime Minister of the Republic of Kazakhstan Bakytzhan Sagintayev has held a meeting today regarding the post-exhibition use of the facilities of the International specialized exhibition Expo 2017, Kazinform cites primeminister.kz. Zhoshybayev named as head of International Green Technologies center ASTANA. KAZINFORM - Rapil Zhoshybayev was named head of non-commercial JSC "International Center of Green Technologies and Investment Projects", Kazinform has learnt from primeminsiter.kz. Kazakh Secretary of State, UAE envoy eye prospects for bilateral coop development ASTANA. KAZINFORM Secretary of State of the Republic of Kazakhstan Gulshara Abdykalikova met with the Ambassador Extraordinary and Plenipotentiary of the United Arab Emirates (UAE) in Kazakhstan, Dr. Mohammed Ahmed bin Sultan Al Jaber, the Akorda press service reports. Japan promotes Osaka to host World Expo 2025 ASTANA. KAZINFORM Yerbol Shormanov, the CEO of Astana EXPO-2017, has held today a meeting with Ambassador Extraordinary and Plenipotentiary of Japan to the Republic of Kazakhstan Ichiro Kawabata, the press service of the national company says.